[dropcap size=”220%” bgcolor=”theme”]I[/dropcap]’ve been working with windows 8 and Metro style apps since Microsoft released Its first private beta, I had to format my pc several times during this time due to bugs or incompatibilities with my hardware but it was worth it as through this I gained very useful experience and was able to get a head start on windows 8 application development. 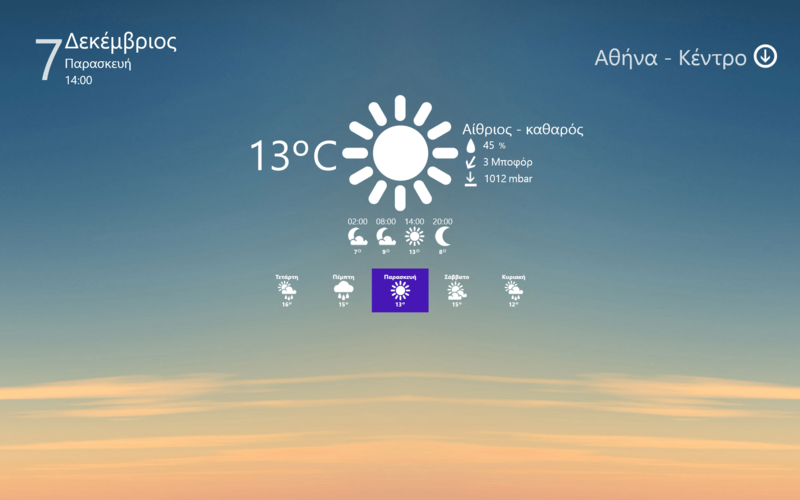 Meteo is the leading meteorological website in Greece backed by the National Observatory of Athens providing accurate and precision weather forecasts for Greece. So a while back we approached the guys there in order to build a proof of concept application that would present their data using the Metro Style experience. After straggling for a while with the APIs and the application certification team of the Windows Store :-), the application hit the store on October and has already achieved almost 5000 downloads. 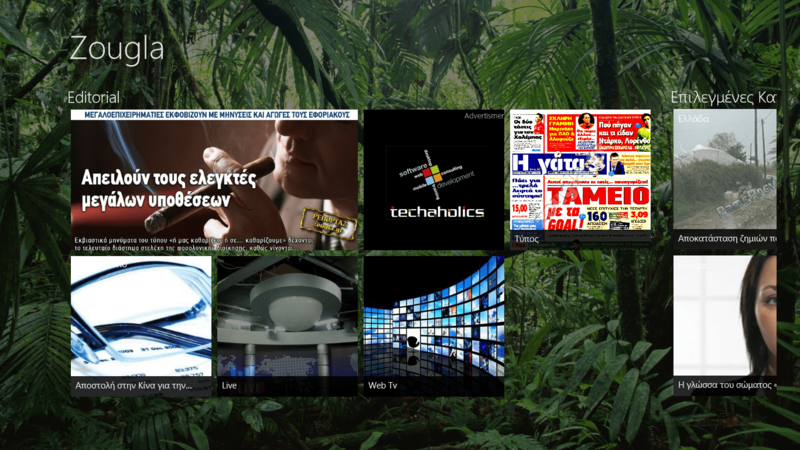 The application features almost all of the windows 8 available application features such us Live Tiles, Roaming Settings, Semantic Zoom, Settings Contract and more and is built using XAML – C# and takes advantage of the MVVM pattern and of course the application is backed by Microsoft Windows Azure. Zougla is one of the largest and probably the most visited news portal in Greece. Beside informing the visitor with all the latest news in Greece and the rest of the world, Zougla offers visitors a wide variety of services ranging from news and weather to online TV and Radio. They even run their own marketplace. The application features Live Tiles, Roaming Settings, Share Contracts, Settings Contract, Video On Demand, Live Smooth Streaming and more are planed for the next version. Lastly it’s built using XAML and C# and the MVVM pattern as well. Download and install them. I’d love to hear what you think. Hope you like them.